Financial ability is one of two major components of the HECM financial assessment guidelines rolled out by FHA in 2014. The intent of the new guidelines is to reduce defaults due to nonpayment of required property charges. Lenders are now required to more extensively analyze an applicant’s income and credit history as part of the qualification process. The financial ability component of financial assessment focuses on whether an applicant has adequate monthly income to keep up with debt obligations, required property charges, home maintenance, and living expenses using a criteria called residual income. If the applicant doesn’t have enough residual income to satisfy the lending guidelines, he or she is considered a higher risk of default. The lender may be required to carve out part of the reverse mortgage proceeds into a life expectancy set-aside, or LESA, which is designed to ensure that property charges are paid for the borrower’s remaining estimated lifespan. Financial ability has two basic components: residual income and compensating factors. 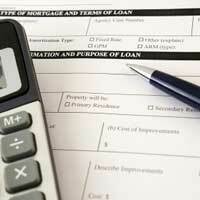 If the borrower lacks the residual income to satisfy the lending guidelines, the lender may still be able to approve the loan without a LESA by documenting certain compensating factors. Compensating factors can include (but are not limited to) other income sources, liquid assets, or unused proceeds from the reverse mortgage. The applicant has other financial resources available to get through a financial emergency, which reduces the risk of default due to nonpayment of property charges. Such factors can often compensate for a shortfall in residual income and make it possible to approve the loan without a LESA. If one or more compensating factors cannot be documented, a LESA may be required. If the residual income shortfall is large enough, it’s possible that the loan won’t be approved at all – with or without a LESA.